Kingsley girls, their parents and staff are celebrating in recognition of the outstanding personal achievements that have secured a diverse range of choice destinations for their leavers this year. 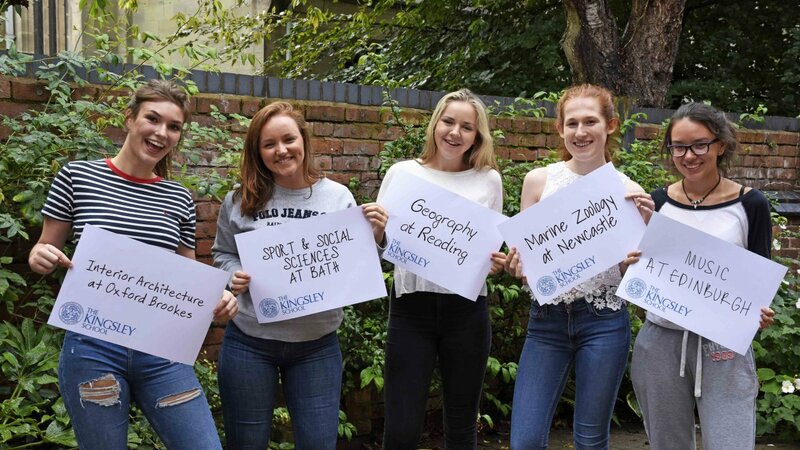 In a year where results were nationally expected to lower, The Kingsley School Sixth Form has excelled, significantly exceeding benchmarked expectations. The school achieved a 100% pass rate with almost a third of all students receiving A* -As. Two thirds of all girls achieved A*-B grades and 90% attained grades A*-C.